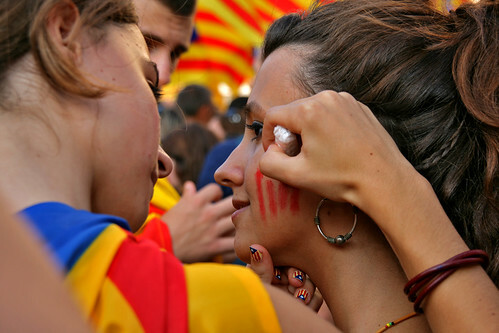 The debate on Catalan independence has been frankly politicised. Still, economic arguments have been used by both parties. Pro-independence activists constantly refer to fiscal looting, while unionists state that prosperity can only come around through unity. In fact, it is much simpler than it seems at first sight. It is true that fiscal looting exists, but given the calculation method used by Catalan official sources, the figures are probably smaller than those most commonly quoted (between 16 and 22 billion euros). It is true that a fiscal pact would probably benefit Catalonia (whether it would also work in detriment of the rest of Spain or not would have to be analysed). The problem is, here in the land of non-consensus, that the argument is being used to claim Catalonia’s immediate secession from Spain, rather than as a motive to discuss negotiations or a process which could result in said secession. The question is thus very simple: is it worth it to achieve independence now and stop suffering from fiscal looting, in exchange for all the costs that would have to be paid? It is not my intention to discuss the arguments either for or against an independent Catalonia. Instead, I would like to go over what could happen if independence were declared right now, or at least before the country has enough time to resurface from the economic mess it is currently in. What would Catalonia’s relation with the European Union be? Firstly, of course, there is the hot topic of whether we would be part of the EU or not. Both the President of the European Commission and the President of the Catalan Government have recognised Catalonia would not automatically be part of the EU upon secession. A European Commissioner assured that automatic membership could be examined, only to be forced to apologise for these words. There is no legal precedent, meaning the situation would effectively be unique. In any case, even if the transfer could be done very rapidly, it would require unanimous approval by all member-states, including those members fearing their own at-home nationalist movements, such as France, Italy, Belgium or even the UK. It would also be difficult to convince Germany, reluctant to accept a Catalonia separated from Spain, a situation which would leave both countries with weakened economies. In Europe, this issue is being followed attentively but “without enthusiasm”, according to the Financial Times. Some, speaking boldly, say it would not matter whether they were part of the EU or not, since all European borders are already blurred as it is (and they are right.). There is the EEA (European Economic Area), as well as the EFTA (European Free Trade Agreement), for example. Catalonia could enter one of these, maybe both, and it could certainly be part of both the eurozone and Schengen (the European common customs area). This is true: neither an exit from the euro nor the establishment of external tariffs would be necessary, whether Catalonia were to stay in the EU or not (current examples of this include Andorra, Switzerland, Norway or Montenegro). However, this would not be a good idea. Firstly, because Catalonia would be greatly affected by laws passed by Brussels over which it would have no say, leading to a sort of fax democracy similar to that of Norway. But additionally, because of the second great issue independence would bring about, which I explain in more detail below. Over the last year, most European governments have engaged in policy-making centred on the appeasement of financial markets (i.e. creditors, rating agencies, etc.). Austerity programmes, antisocial measures and financial bailouts, among others, are being put into motion with the sole objective of obtaining more loans – these allow financing to occur at lower interest rates, thus leading to a fall in deficit levels and a rise in credibility. In Spain’s case, none of the measure are achieving these goals, and the country’s credibility is plummeting. Catalan debt already classifies as a junk bond; Spanish debt is on the edge of going down the same road. All of this is happening with the backing of both the Spanish government and the EU. A small new country, with no credibility, high debt levels and no backing is doomed to collapse. This is why it is a bad idea not to be part of the EU right now. In financial circles, analyses range from “no-one would lend to Catalonia” to “Catalonia would be born as a failed state”, to sum it up somehow. Regardless, it is highly probable that Catalonia would not be able to finance itself, as an independent state. In fact, the recent request of a bailout to the State shows this. This actually gives us something else to think about: if Catalonia were to become independent, how would this bailout be paid back? If Catalonia eventually needed another bailout, who would provide it? In any case, it is quite clear that it is precisely at the beginning when the country would need money the most. The establishment of a new state implies some setup costs, just like any other firm. Some are already underway (police force, government, etc.) but others are not (documents, licence plates, army, border posts building, training, bureaucracy, etc.). In the beginning, these costs would be higher because, for example, everyone would have to apply for a new passport, change their cars’ licence plates, etc., all at the same time. And then there is the creation of a new diplomatic corps, the establishment of embassies and consulates, and most probably an agreement with Spanish and/or French diplomatic missions, like the one Andorra already has. The value of Spanish diplomatic services enjoyed by Catalonia is thought to be around five billion euros – around the same amount as the bailout Catalonia has requested from Madrid. Catalan missions abroad are such loss-makers that some of them are currently being shut down, especially since the bailout request was made. These economic resources, unavailable to Catalonia through traditional financing channels, would likewise be necessary to try to prevent both human and economic capital flight. A sizeable amount of people could end up leaving the country, either because of fear or because they disagree with the idea of an independent Catalonia. The brain drain Catalonia has been suffering for years would undoubtedly worsen, partly because Catalan universities, already making losses, would have to face extreme cuts which would endanger the universities’ quality and prestige – that is, the little they have. 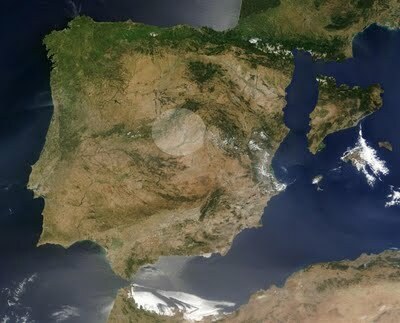 Many firms would possibly leave Catalonia, as book publisher Planeta has already threatened to do. They might do so in order to avoid the tax hike the Catalan government would have to announce, out of necessity, or in order to try to avoid holding an HQ outside of the EU. These firms would probably take many qualified workers with them as well. The well-off would move part of their savings abroad for fear of what might happen, a trend already occurring from PIGS countries to Northern countries. The big Catalan banks (La Caixa and BancSabadell) would be enormously affected, both because of the flight of savings and because of their high exposure to the non-Catalan Spanish market, where they would be taxed as foreign enterprises unless they moved their fiscal HQ (or created two different ones). There would be much less foreign investment in the country than the little there is now, and Barcelona’s aspirations of becoming the European Silicon Valley could possibly fade away fairly quickly. In fact, all periods of immense political change are associated with a perception of social and economic instability, as was seen during the Spanish Transition to democracy. There are many doubts about too many important issues. For example, retirees would fear for their pensions, and the two new governments would have to negotiate what money would be used to pay the pensions of Catalan retirees who used to be Spanish taxpayers. Prominent economist Sala-i-Martín explains why this fear has no grounds, but what is worrying about this issue is the fear itself, not its grounds. Workers would perceive their rights to healthcare and unemployment benefits to be in danger. Foreign tourists seeking the sun might choose the sun 150 miles to the North or to the South, to try to avoid the mess. Therefore, the tourism sector would be greatly affected, as already seen in Greece (though the problem has been somewhat stopped, it is still serious). This would imply higher costs for the practically bankrupt government, in benefits and subsidies, as well as in advertising campaigns and the maintenance of public order. In no case can the ambiguity with which politicians from both sides are treating the matter right now aid the ability to increase this stability upon the achievement of independence. It is also important to analyse the international context this all is happening in. We never stop hearing about how the world is ever more globalised and interconnected. This has translated into a huge loss of independence. Western countries nowadays serve as a good example of this, applying austerity cuts in nearly empty Treasuries because they are at the markets’ beck and call. The problem many people in favour of independence see with fiscal looting is that Spain gives away that money to poorer regions in the country. This brings about a rather curious paradox: if Catalonia were to be as thriving as many high-profile pro-independence activists claim it would be and if it were an EU member state, Catalonia would give more money to Brussels than it would get back. This difference, in turn, would be used to finance poorer regions within the EU, such as Eastern European countries or the PIGS… including Spain. There is only one alternative to this, and it is much more daunting. If Catalonia kept EU membership but were unable to finance itself, as it would likely occur, the new state will find itself in a similar situation to that of Greece, and perhaps worse. In the end, it would be other EU members’ difference money funding a very poor Catalonia. Finally, let us not forget about our neighbour. Independence could bring about some disastrous effects for the rest of Spain as well, such as the ones put forward by the Spanish Minister of Justice, Alberto Ruiz-Gallardón. A chunk of the huge streams of interregional trade would be discontinued (because of mental barriers, rather than barriers to trade), relations would be tense, Spanish industry would harbour resent, as would – although to a lesser extent – foreign tourism. To sum it up, a process of independence entails much difficulty. Much negotiation is required, quite a lot of give and take, and a huge amount of consensus. None of the three are known to be features of Spanish or Catalan politicians, who usually seek to maximise their own profits without worrying about the effects on third parties. In a nutshell, those in favour of independence want Catalonia to secede from Spain but want Spain to pay for the process; and those obsessed with national unity believe Catalonia should remain silent and pay more than it gets back while seeing its public services deteriorate by the minute. It is very clear that the current situation is unsustainable. Everyone is starting to be fed up, the mood is tense. This affects productivity, future expectations, and of course the happiness of our citizens, Catalans and Spaniards alike. But it is also clear that declaring independence right now would bring about a great deal of harm to Catalonia, and probably bankruptcy as well. Some measures should be put into effect through consensus now, and a slow but safe transition should be made; maybe starting off with a fiscal pact, followed by a federal model and finally a sovereignty referendum. In any case, all of this ought to be postponed at least by five years (optimistically speaking! ), in order to give our societies, financial entities and government time to reorganise, and overcome the current crisis. In fact, according to Ulrich Dietz, GFT’s CEO (an important German technologies firm), “Spain will need up to ten years to overcome this crisis”. Contrary to what some people are trying to sell us, it is never a good idea to find oneself clutching at the last straw. I do not agree with the article. Spain is not leaving Catalonia other exit than independence. There are cultural and economic reasons for catalan people wanting to be able to decide where and how we spend our money, what language is used at our schools…. Catalan goverment is giving services as education and sanity and the only incoming is the money from Madrid. But catalan people are paying their taxes to Madrid. Catalan people need a state that plays on favor and not agains our economics and culture. “Madrid” is simply one autonomous region that contributes more that it takes back. Catalonia is the MOST indebted region in Spain, so instead of blaming everyone else have a look at the 30 years the Catalan government spending as is there is no tomorrow. The Spanish central government seats in Madrid, like the US government seats in Washington…. and the State o New York contributes more than Idaho’s, that’s how a modern state works.